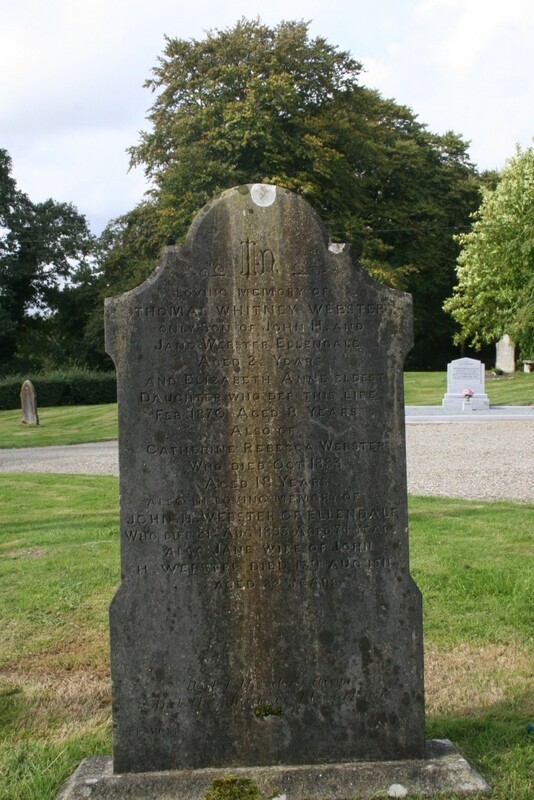 Headstone stone maker: Travers Gorey. 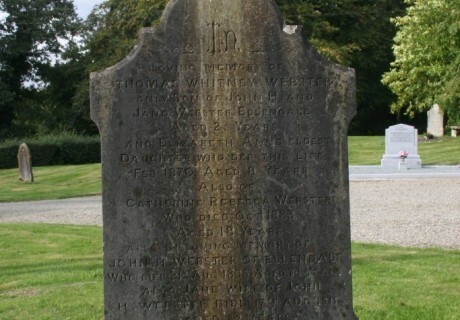 In loving memory of Thomas Whitney Webster only son of John H. and Jane Webster Ellendale aged 2 1/2 years. and Elizabeth Annie eldest daughter who departed this life Feb. 1870 aged 8 years. Also of Catherine Rebecca Webster who died Oct. 1883 aged 18 years. Also in loving memory of John H. Webster of Ellendale who died 21st Aug. 1893 aged 74 years..
Also Jane wife of John H. Webster died 13th Aug. 1911 aged 82 years.